A couple of weeks ago we bought a small dog bed for Buck, as he loves to lay near the kitchen island, having learned that pieces of tasty stuff miraculously rain from above around that neighborhood. 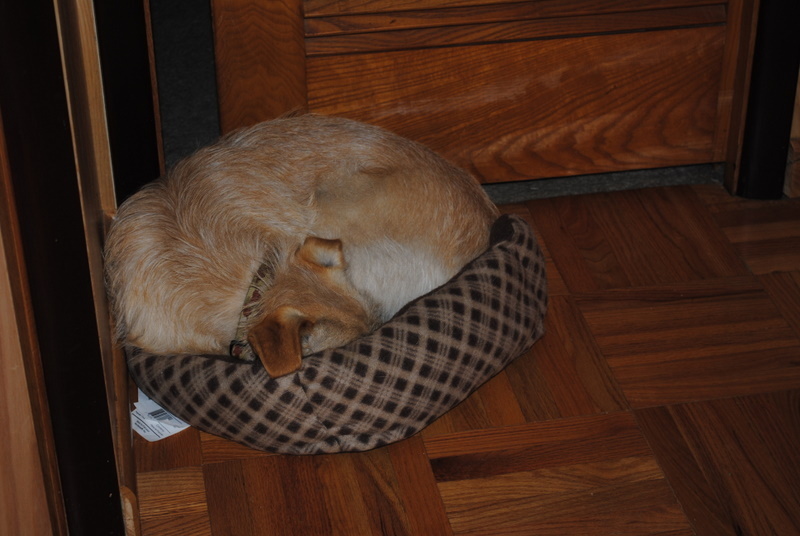 But the bed got intense competition from Oscar, who doesn’t quite “get” that the bed is not big enough for him. 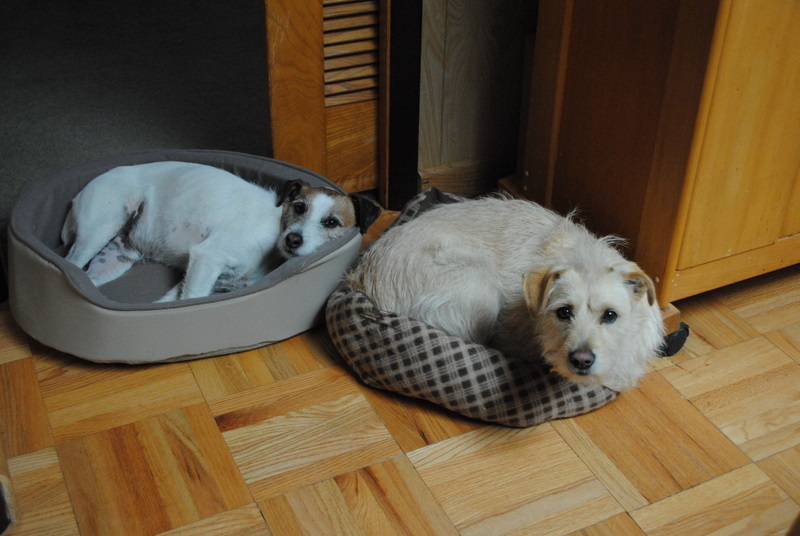 So, we did the only sensible thing to do: bought a bigger bed for Oscar, and placed it next to Buck’s bed. Problem solved. Or…. was it really? And what about Chief? 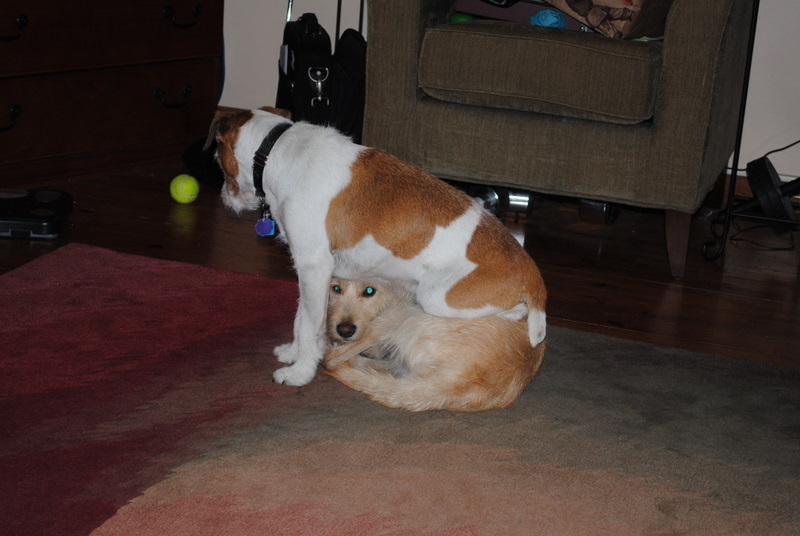 Well, he’s got his own ideas about getting comfy…. Sally, perfect timing, Oscar night, Oscar post! 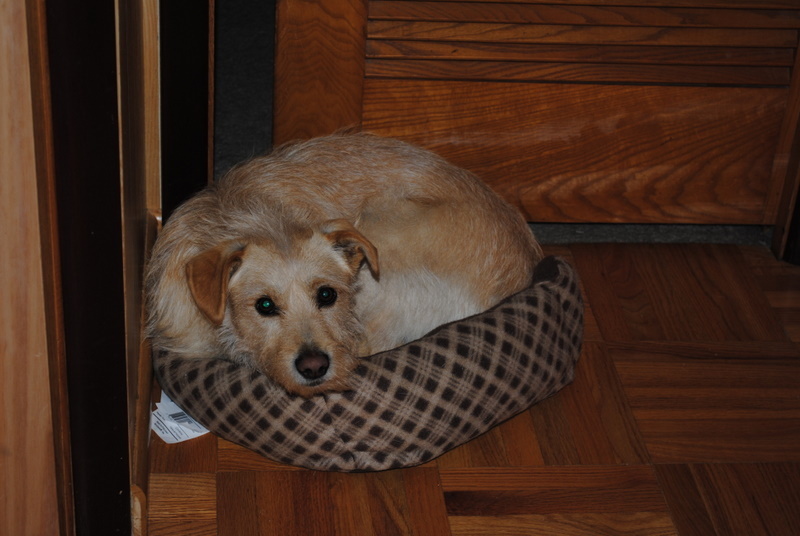 I love when you blog about your pets, they are too cute, all of them! That is so funny. They are just like children aren’t they? Funny – thanks for sharing. I love dogs – I have two boxers. ROFL! They are adorable. And thank you for the chuckle! Great post! Got to love these doggies! I like Oscar’s spirit! (I think I’d be squeezing into the duvet version too ;)) – and Buck perfectly content to oblige Oscar in the other bed… too funny; gotta love how animals work things out – it’s like they have secret understandings/arrangements (at least that’s what Greg and I think about our cat and dog who eat each other’s food but are very respectful and patient in the deal that they have struck:)). Now what’s going on with Chief? 🙂 Lol. Great post Sally – loved viewing the pics! Katherine is still laughing audibly at the last photo! This is absolutely what I needed! Love it Sally! It reminds me of the book Big Dog, Little Dog. Just precious. And that last picture is a laugh riot! so Buck is the smart one, Oscar is still shy and insecure, and Chief wants to be the alphadog, but he has a funny way of achieving that! As to the last photo – a very “rare” moment. Chief used to do that all the time with the dalmatian, but Oscar is too active and normally won’t let Chief use him as a pillow. That shot was the only time it happened in the almost 2 years we’ve had Oscar around. Priceless…. I love the pics – especially the last one! They are a beautiful part of your family — enjoy them!! hahaha! seus cães são lindos, só digo isso!